Cleaning is so much easier and more efficient after you establish a cleaning schedule to fit your lifestyle. You might already have a “schedule” of sorts, but if it doesn’t really fit your lifestyle, then it isn’t really working. 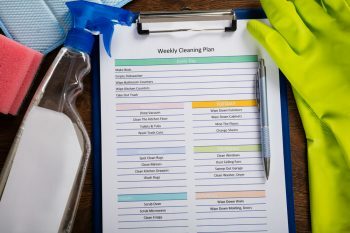 Let’s look at how to establish a cleaning schedule that works for you. Because when it works for you, it’s much more likely to get done! Start by asking yourself why you clean your home. No, really. Why? 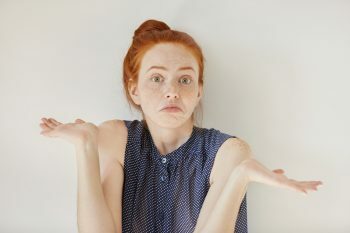 Is it to meet someone else’s expectations? Is it because you want it to be clean, or because you enjoy cleaning? Decide the why, and the rest will come easier. Because if you’re cleaning to meet someone else’s expectations, set your own before continuing. You are the one who matters most here. 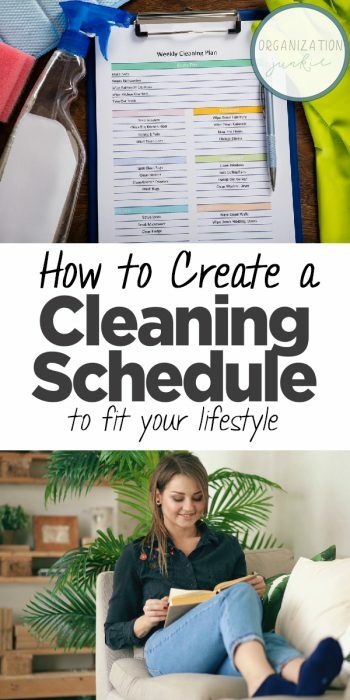 It’s your cleaning schedule so it needs to fit your needs. Now decide on your favorite rooms in your home. Those are usually the rooms where you love to relax and where you feel most comfortable. The reason is because your new cleaning schedule is going to prioritize those rooms! Seems kind of like an “aha!” moment, doesn’t it? But it makes perfect sense. The rooms you love the most are the rooms you should clean the most. They are the rooms where you will spend a little bit of time on a daily basis keeping them clean and inviting. 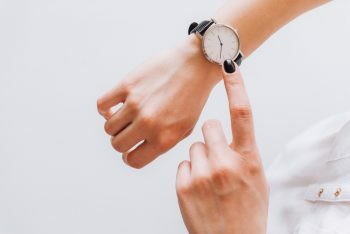 Time for another very important question: how much time do you have in a day, and how much of it do you want to devote to a cleaning schedule? If you’ve got just a half an hour each day for cleaning, devote that half hour to keeping up your favorite rooms. 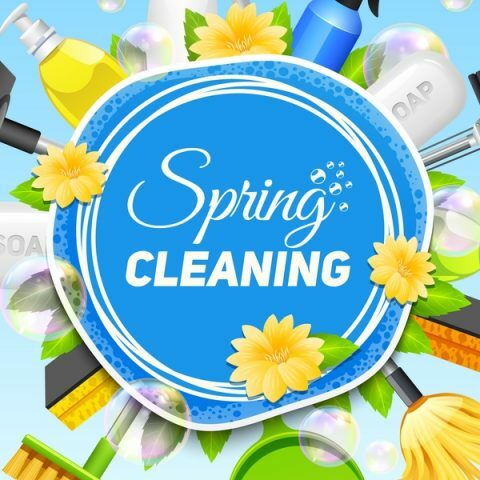 The weekend will be when you schedule time for cleaning the other spaces. Now establish a daily cleaning schedule that includes that half hour for keeping up your favorite rooms. That could easily include things like washing the dishes and picking up toys in the living room. Just prioritize those things on your cleaning schedule that are most important to you, and visualize when you can do them, each day, every day. If you set up a room-by-room schedule, that can work well for the weekends when you have more time for the other rooms in your home. Most of all, remind yourself that those other rooms will get your attention when the weekend comes. No need to feel guilty during the week! A cleaning schedule that fits your lifestyle is really a sanity saver!